Cyathea cooperi is a medium-to-large fast growing tree fern, to 15 metres (49 ft) in height with a 12-inch (30 cm) thick trunk. The apex of the trunk and unfurling crosiers are particularly attractive, covered as they are with conspicuous long, silky, straw colored scales. The crown is widely spread and the light green fronds may reach a length of 4–6 metres (13–20 ft). Scopolia carniolica, the henbane bell, is a poisonous plant from the family of Solanaceae, It has dark violet flowers on long hanging stems. It grows to 60 centimetres (24 in) in height. 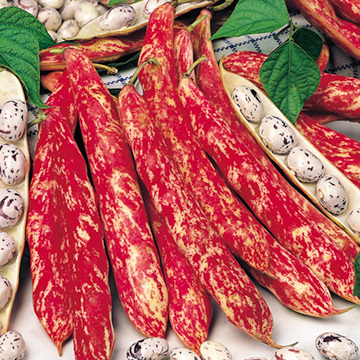 It is poisonous, because it contains abundant quantities of tropane alkaloids, particularly atropine. The quantity of atropine is the highest in the root. 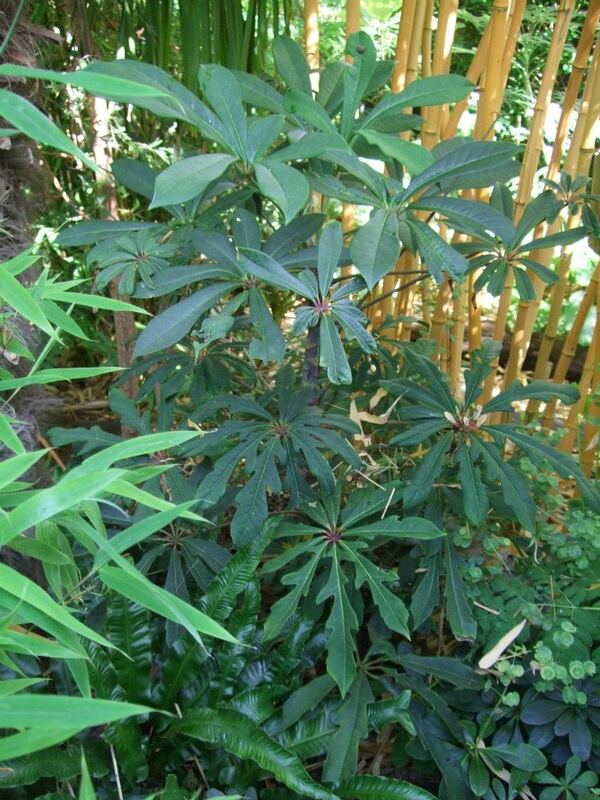 Schefflera rhododendrifolia is one of a number of hardy Schefflera available in the UK, we have several in our garden which have done well over the last few years (and winters!). Rubus lineatus,with very distinctive leaves. 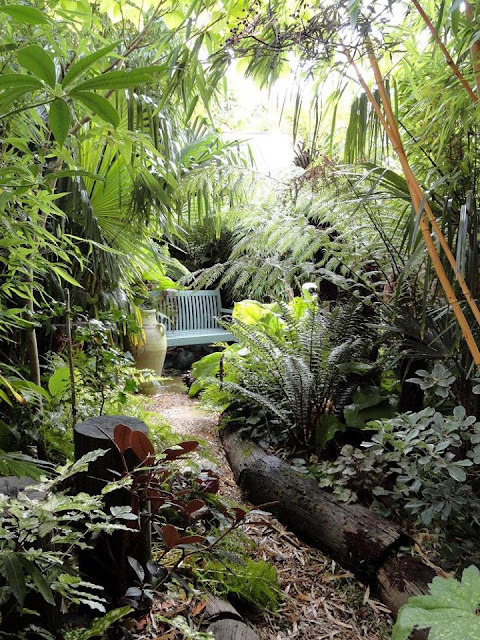 It might be hard to believe but here in the UK it is possible to create a little tropical paradise in the garden. 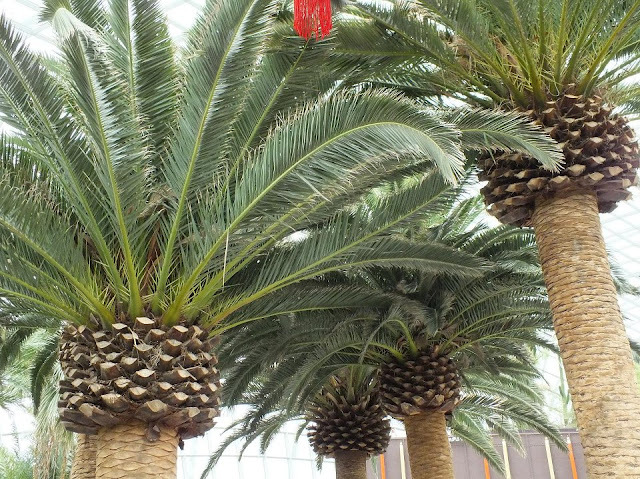 Regardless of the wet and cold weather that is frequently experienced, there are some tropical plants out there that will withstand the UK conditions. When trying to put together a tropical garden, it does not hurt to be creative with the design for the best effect. Remember that a tropical garden does not have to be uniform in design so do not worry about symmetry but just place the plants where they will have the most dramatic impact. Carefully choosing the right plants is essential. Some tropical plants are definitely too delicate for the UK but others will survive quite well if they are protected from winter conditions. This can usually be done with fleece or straw. 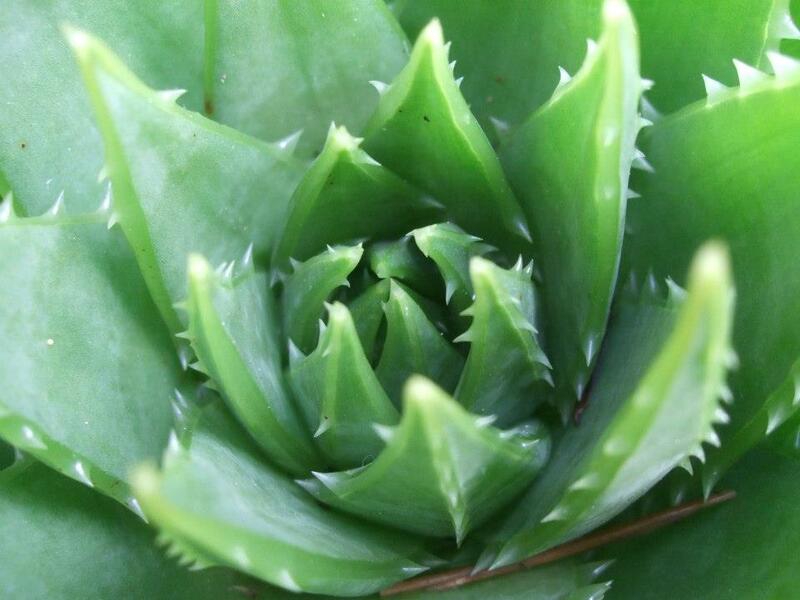 Think about plants that have sword-shaped leaves such as phormiums or yucca. The advantage of these plants is that they have strongly-coloured leaves and there are plenty of different varieties available. Consider plants that have silver or grey leaves that will reflect any heat or light away. Choose large plants such as cardoon to put at the back of a border. If you opt for succulent plants such as Agave americana these can be easily protected during the winter months, as they are best grown in containers, so can be brought indoors away from damaging winds and frost. 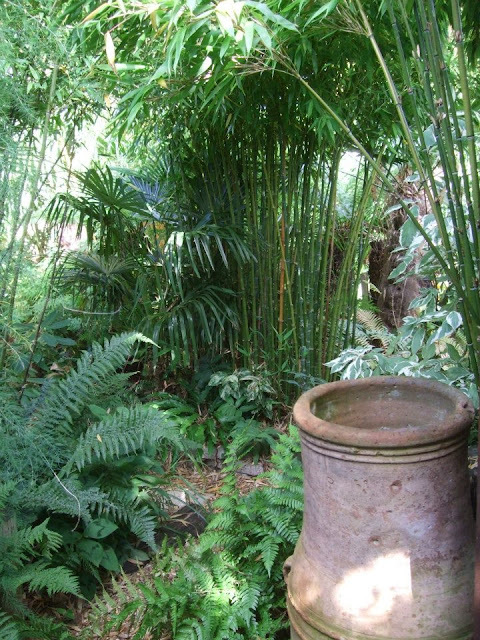 Consider bamboo; not strictly speaking a tropical plant but it gives a very tropical feel as well as being able to withstand the colder weather. Ferns are also a typical jungle-looking plant that can deal with lower temperatures. Hostas are a popular choice already in many gardens and are ideal for helping to create that tropical image. Plants such as the Fatsia japonica can survive temperatures down to -18°C, while the Mediterranean dwarf fan palm is fine down to around -10°C. All that remains then is to decide where they need to be put. Texture is important in a tropical garden, with different shades of green, different shapes of leaves and different heights of the plants all working together to make every part of the garden interesting. There is no point going to the trouble of carefully creating a tropical garden if it is not going to be enjoyed. A seating area is an essential part of any tropical garden design and it is important to make sure that the garden furniture is of high quality. Creating a seating area is easy and it can be carefully disguised with plants to ensure that those who use it feel as though they are hidden from the rest of the world. Choose materials that fit with the tropical theme such as rattan or bamboo. Place the seating area where most of the garden can be enjoyed and use pathways to link each part of the garden. All that is left then is to make the most of the work and ensure that plenty of time is spent outdoors – when the weather allows of course. Pots of bananas, Musa basjoo and Musa sikkimensis acclimatising to life outside. We need to decide whereto place them this year. Tidying the ferns under the Trachycarpus. It all looks so empty at the moment, but not for long! On Alternative Eden we show you How to Strip A Trachycarpus. At last we had some nice weather this weekend. So much so Mark got the deckchairs out! Hows this for a stunning greenhouse, the Grand Glasshouse made from beautiful western Red Cedar. As illustrated above it is being used as a conservatory, but would also be a fantastic greenhouse. Hardwood glasshouses are making something of a resurgence of late, and with designs such as this one (endorsed by the RHS) you can see why.